Romania is one of the emerging tourist destinations in Eastern Europe and every day it draws more and more attention of travellers from all around the world. In this post, I wanted to tell you about 10 reasons to visit Bucharest, so it’s easier for you to make your mind and buy a ticket to the interesting capital of Romania. I visited Bucharest already twice, in May 2015 and in May 2017. Bucharest is not about the architecture or sightseeing (you can go to Vienna or Budapest for that), it’s all about the atmosphere. Of course, there are quite a few beautiful buildings and places to explore, but what matters the most are the people and the way they live and look at life. I’m pretty sure that Bucharest scares people away because there is not much advertising of the city going on (unfortunately) and because most people think it’s not safe. Of course, it’s not true, Bucharest is quite safe in the city centre. In some districts (like Gara De Nord – the main railway station), however, it’s not advisable to walk alone at night (I didn’t know that, but 10+ locals assured me of that, so I tend to believe them). Unfortunately, I stayed at a really bad hotel, Ibis Gara de Nord, I don’t recommend you to stay there under any circumstances (and it wasn’t my choice to stay there, it was the courtesy of #ExperienceBucharest), but if you stay in the city centre, you’ll be alright! The city centre of Bucharest is very unique. Bucharest is the city of contrasts: next to a lavish Parisian-style building you can see an abandoned factory or a half-demolished house. Bucharest could be stuck in traffic during the peak hours, with cars beeping all the time, but at the same time, one stop away there is always a huge amazing park. Bucharest is also the city of parks – there are so many and they are really nice, I’ve been to 3 of them and loved them all. Be one of the trendsetters and be one of the first among your friends to visit Bucharest. I can see it becoming quite popular in the future, and in the next paragraphs, you’ll be able to understand, why. Right now it’s not so crowded, so you can actually enjoy the city and take some amazing shots of Bucharest without needing to wake up at 6 am. In Venice, you have to do that, for example. Bucharest is one of the cheapest capitals in Europe. Since there are not many tourists yet, the prices in Bucharest city centre are based on local salaries rather than on the purchasing power of the tourists. Of course, there are fancy and expensive places too, but literally, the most expensive restaurant on top of the skyscraper was the same price as the average eatery here in Scotland. For a fancy salad, quite an elaborate main dish and a cocktail I paid around £20. Alternatively, I also went to the best-rated burger place in town, Burger Van, and paid £4 for a freshly made burger with fries and rocket salad. Romanians know, how to party. There are plenty of clubs, bars and pubs ranging from very cheap to very posh. Romania also wants to be one of the popular festival destinations, so this year there will be an amazing electronic music festival (with top DJs like Martin Garrix) in Cluj, not that far from Bucharest. 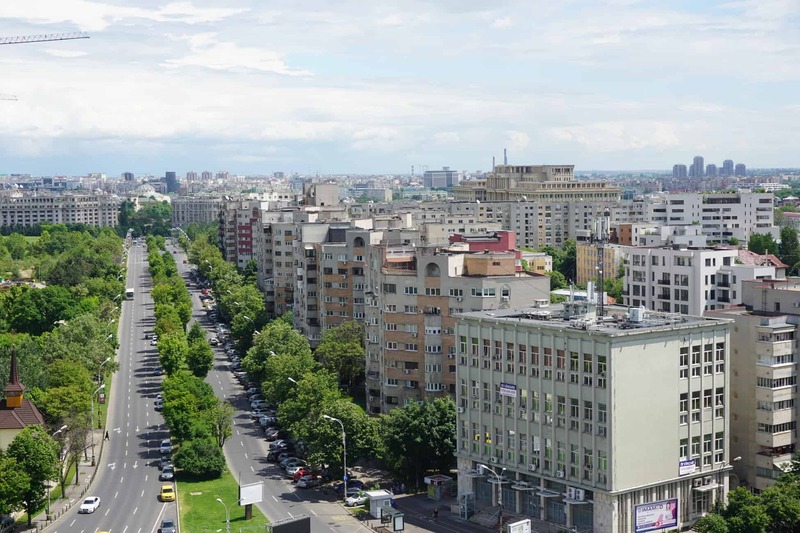 Bucharest is one of the best places to learn about communism in Eastern Europe because there are plenty of buildings from the Communist Era and many communism tours offered by local tour operators. Everybody, who took the tour about communism in Romania was really pleased and said that he/she learned a lot of new things about communism and Romania. I’m from a former communist country myself, but my hometown St. Petersburg is probably the worst place to learn more about communism (it’s an imperial city and has only a few buildings from the communist times). 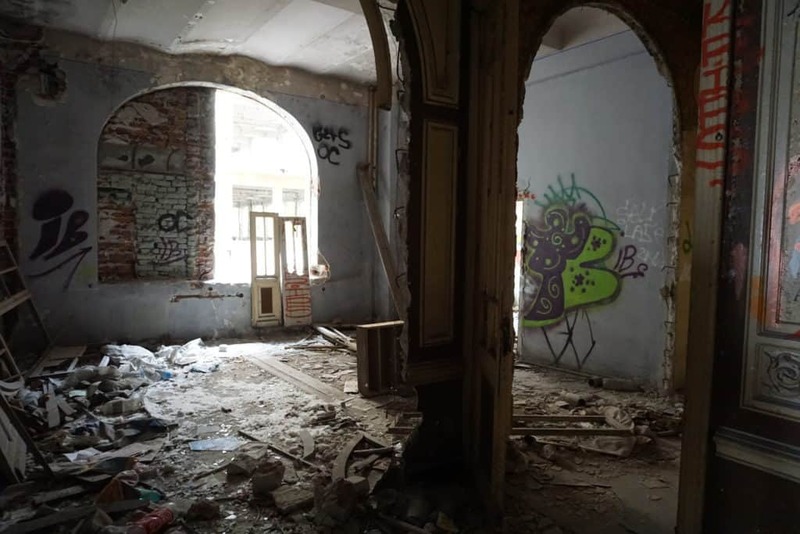 Bucharest is one of the cities in Europe, where you can actually explore some beautiful decaying buildings in the city centre. I went on a special tour called Beautiful Decay and our amazing tour guide Mircea brought us to some great historical buildings, which were left decaying. In case you like urban architecture and alternative adventures, you’ll love this tour and Bucharest in general. In case you’re visiting Bucharest for only a weekend and definitely don’t have time, don’t worry. You can see the beautiful houses brought to the Village museum from all the regions of Romania. Some of the houses are open, so you can see, how the people used to live before (and maybe how some still live). The museum is right in the city centre, in one of the parks, and exploring it won’t take more than 2 hours. Don’t miss your chance to see the countryside right in the city centre. If you have a bit more time in Bucharest than just a weekend, try to visit at least some of the Romanian castles and fortresses, for example, Peles is one of the most beautiful castles I’ve ever visited. Bran castle, Fagaras fortress and Rasnov fortress are also a great option. Romanian castles and fortresses definitely deserve more attention than they have right now. In 2015, we rented a car and went to explore Bran and Peles castle (and managed to see them both in one day), read more about our adventure in this post! In case you’re looking for some great tours in Romania, check the page of Romanian friend – they are offering great tours, where you can try local food, meet Romanian culture and enjoy the countryside. You can even go look for bears (did you know there are bears in Romania???) in Brasov and that’s quite an experience! There are more tours available on GetYourGuide or Tripadvisor. I hope these reasons to visit Bucharest were enough for you to make your mind and visit the amazing capital of Romania. If you’re wondering, where to stay in Bucharest, I moved from the terrible Ibis to more decent budget hotel Liad right in the heart of Bucharest. It had everything I needed for the last two nights in Bucharest (such as a fridge, A/C, microwave, nice and clean bed and a private bathroom). It also had a private terrace on the top of the building, so I managed to see the sunset from there. In case you have a bigger budget for the hotel, I recommend you to stay at Hotel Christina or Mercure. 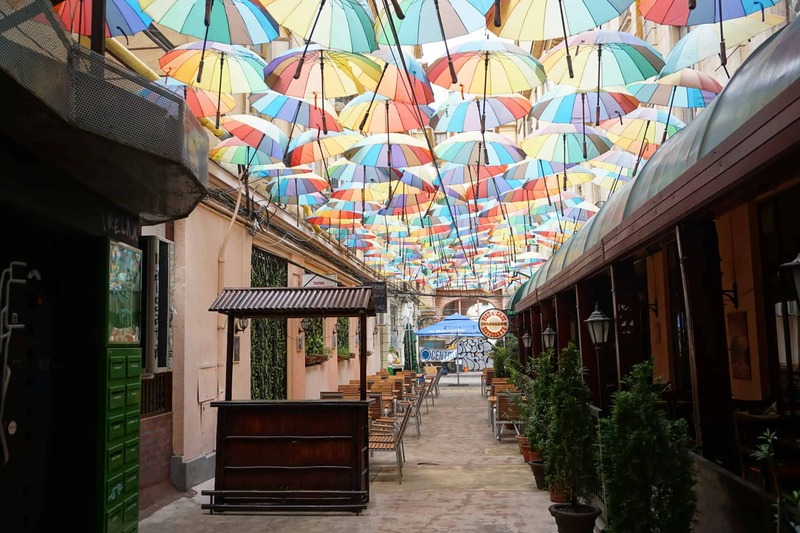 Liked this post about reasons to visit Bucharest Romania right now? Save it on Pinterest or share on Social Media! Very inspiring read, Liza. Something I could have used before my trip to Bucharest, as pretty much everything I heard about the city was negative. 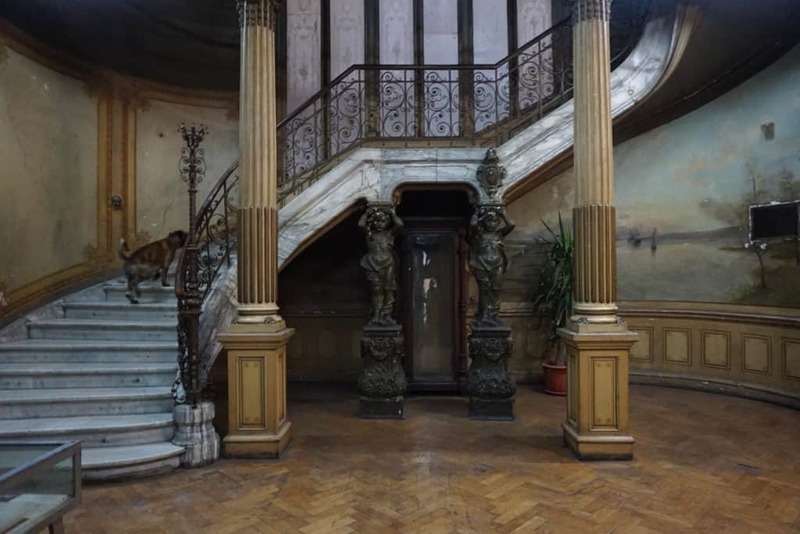 I have to agree with you that Bucharest has a lot to offer and it will probably not take too long before it gets massively discovered by tourists. PS It was great meeting you at #ExperienceBucharest ! Beautiful post! I loved all the pictures and you really inspire me to visit Romania! Great great stuff! Great post Liza – I feel like I’ve really gotten to know Bucharest what with yourself and Jurgas visit – I can’t wait to visit one day! Hopefully before the crowds arrive too! Thanks a lot, Alex! You should go ASAP, otherwise who knows, Romania could be the next big thing! Wow its great to find out about somewhere like Bucharest which to be honest wasn’t on my radar! Looks totally amazing – can’t wait to visit one day! You should definitely visit it one day – it’s a lovely emerging destination! Thank you for sharing your reasons to visit Bucharest! Although Bucharest is affordable, it’s among the most expensive cities in Romania, like you would expect from the capital city. It’s even cheaper to visit other Romanian cities, for example the ones in Transylvania region: Brasov, Sibiu, Alba-Iulia. It was very nice meeting you too, Marius 🙂 Thanks a lot!